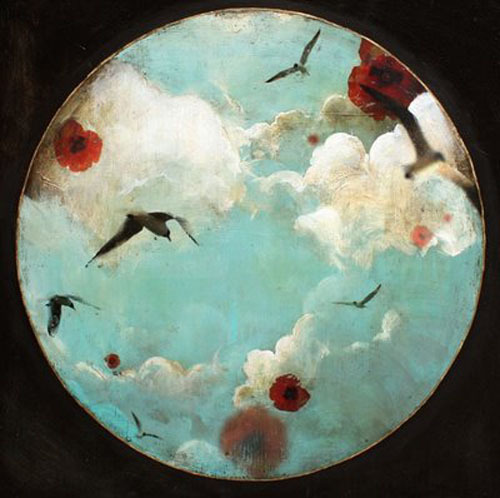 I love the artwork of Steven Nederveen, available at Bau-Xi Toronto. Loving these looks from Thurley. Nobody can ever accuse me of not listening to my readers. "Jane," you said, "enough of the fashion and interior posts (fabulous as they - and you - are)... We want to hear more about your inappropriate Paul Auster crush!" Well now, I did happen to find this Auster reading, which I watched a couple of times to make sure was up to your high standards. You'll be relieved to know, it cut the mustard. There's more here. I'm such a giver. When I fantastize about really dressing up, the gown in question is often by Alberta Ferretti. This looks like the most glamorous subway ride on earth. Suffice to say, I don't look at all like this coming home on a Saturday night. I return to this Vancouver store's website every season and fall for something new. 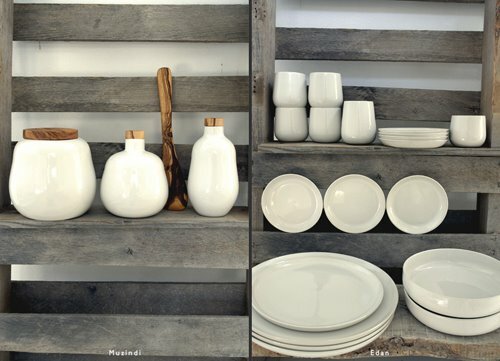 Their interior shoot is full of textures and my favourite greys. The beautiful concrete reminds me a lot of the Berkeley library at Trinity; the building I spent most of my time in at University. 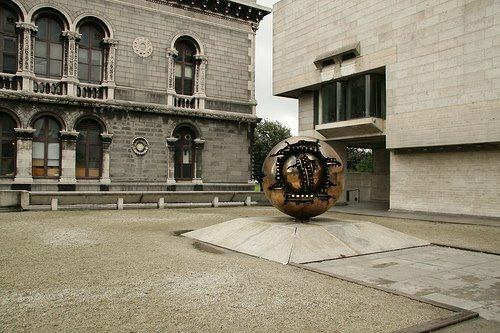 Back then, we scoffed at the 70's architecture (especially juxtaposed against the campuses historic buildings). But in retrospect, we were horribly wrong. This makes me wonder about how taste evolves. Maybe this building is why I love concrete so much now. 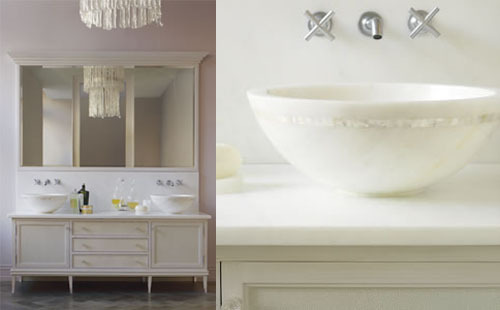 I love this Smallbone of Devizes bathroom suite. See the up-close? That mother-of-pearl inlaw is the bit that tips me over the edge. I recently blogged about Nicole Fahri Home, but her A/W clothing collection also caught my eye in a big way. I'm feeling very neutral these days, apart from the occasional swipe of electric blue. In the end I caved to IKEA's assembly instructions and found a plus-one to complete the job. Candace came over and helped expedite the Expedit assembly (thank you!) After we got the damn thing standing, we felt like we deserved something to eat and a little shopping time. 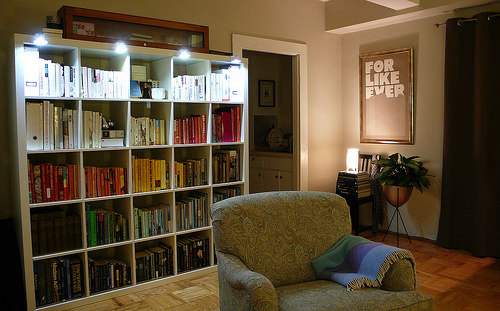 I've spent most of the evening arranging my books on the expedit and am knackered. Still some tweaking to do, but I'm mostly happy. Apart from the fact it's 9pm and I just realized I skipped dinner and am starving. I'm assembling an Expedit bookshelf. It's a 2-person job, but being in a bolshie kind of mood, I'm determined to do it alone. I'm pausing every 5 minutes in exhaustion and to either rant at IKEA's anti-single person ways or to shake my head at my own silliness and utter weakness. I'm probably driving my downstairs neighbour insane. I'm sure they think every respite is the end, only for me to start up again 5 mins later. Look at it! Seems innocuous enough eh? It's not. This shelf is Satan incarnate. Assembling IKEA furniture should not make you feel like you deserve a Mike Holmes award. is wearing a packboard to carry the baby. how happy they are. And intimate. How stedy. They are happier than anyone else, and they know it. Are gladdened by it, and humbled. they come walking back along the beach. is that they have changed sides. the ocean side. She is on this side. in love, if that's possible. And it is. Having been there for a long time myself. down the beach, fifteen minutes back. tossed up from when the sea ran wild. They walk quietly, slowly, holding hands. but they're so happy that they ignore it. The love in their young faces. The surround of it. Maybe it will last forever. If they are lucky. go on loving each other without stint. Are true to each other—that most of all. as they know they will be. I go back to my work. My work goes back to me. A wind picks up out over the water. 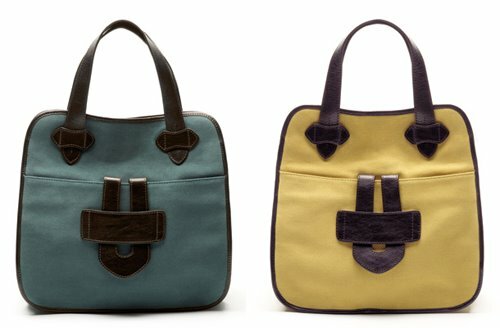 If you forced me to pick a favourite label, Loeffler Randall would be high on the list. Last year, I bought four calendars by Ilee for myself and as Christmas gifts (yes, I just dropped the C-word in September) and I've loved every month. Their 2009 calendar is now available at their Etsy store. Last week, beautiful Chelsea posted a shot that encapsulated everything she wants in her future home and it was 100% her (I say with all the confidence of somebody who has never met her). I've been looking through all the images I pull into folders on my desktop, both style and interiors and looking for one that was similarly "me". 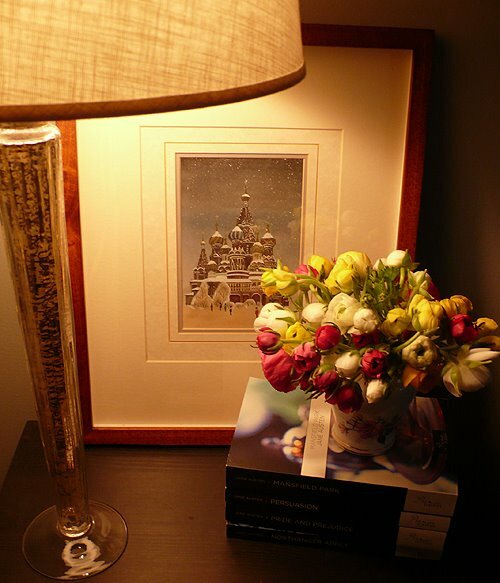 This is my interior shot, from Martha Stewart. 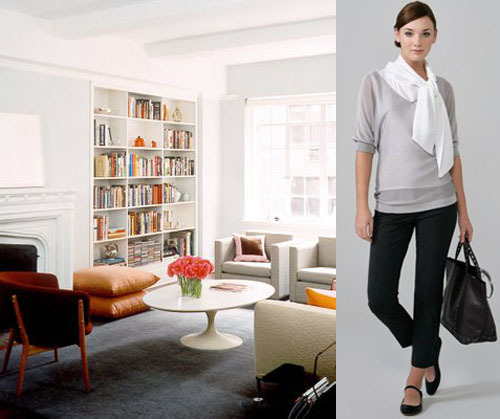 I love the books, the calm, the grey, the mid-century modern, the touches of rusticity and femininity. The fashion shot (from a page on Shopbop that may no longer exist): Jeans, grey, flats, a great purse, a touch of feminine flamboyance. What do you talk about when you talk about blogging? Lately, I've been asked about what I do, both for a living and for fun. And I hate that question. Even though I love what I do, which I always describe as "writing", I've been stumped for a way to describe it in a way that conveys its depth. Sure we blog about pretty things. But I think there's more to it than the prettiness. I truly believe that the meaning is only imbued into these things when they're built around a character. A home around a person, a dress around a certain woman on a certain night. Sure, the dress might be great. But it's the implied story that's transporting. I just don't know how to say all that in a neat answer. 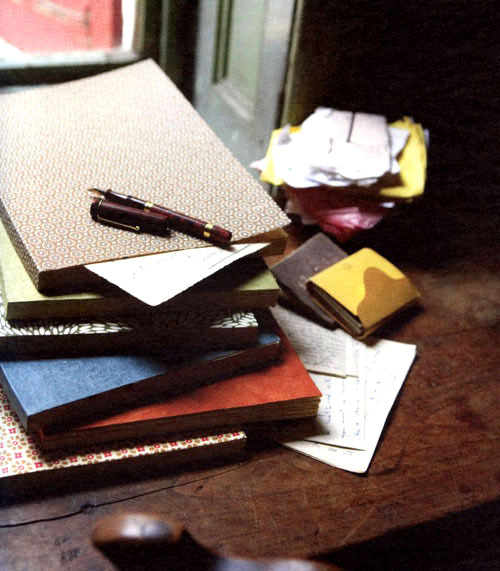 But if you leave it out, what we do, what we write and blog about, starts to sound like pure materialism. And I'm not saying I'm not a materialist. But I'm not one of those LVMH Holts hags just in it for the conspicuous consumption. I need to get better at doing my own PR. I get all knotted up and worry I just sound like a hokey girl. How can I express the ineffable in one medium and be so useless and dull in another? 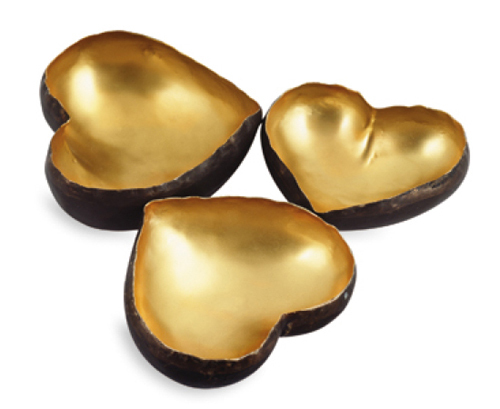 Sweet, without being too sweet, Michael Aram's Sona heart bowls would make a perfect pressie. 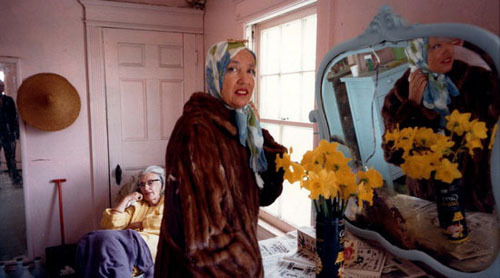 Weird synchronisity, but, like Ali, I watched the Grey Gardens for the first time this weekend. It's amazing. Their mother-daughter anger-love completely resonated. And the dialogue is jumbled, stream of consciousness, haphazard, rhythmic, cacophonous, melancholy and moving. It reminded me a lot of Beckett (especially Rockaby or Happy Days). I also bought The Beales of Grey Garden and Ghosts of Grey Garden and will watch them next weekend. 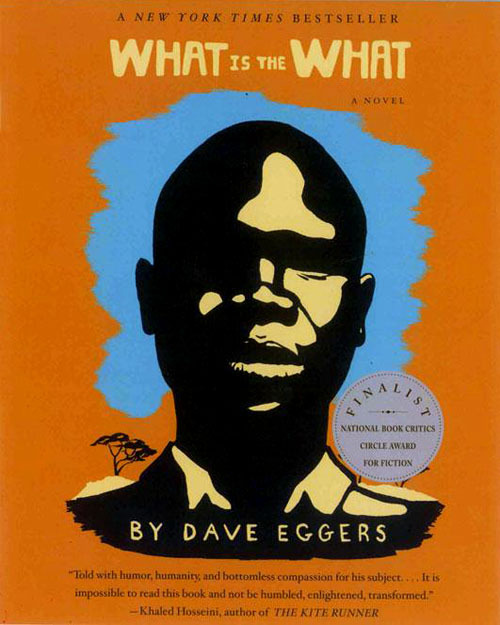 Dave Eggers is so goddamn clever it wrecks my head. At first, I thought I was just admiring What is the What from a distance. But then I started dreaming about it. And when I got towards the end, instead of picking up speed as I usually do, I slowed down. And saved the last 30 pages until I could carve out the perfect time, when I was at home and undistracted and comfortable to savour it. I'm taking a few days off reading to recover. 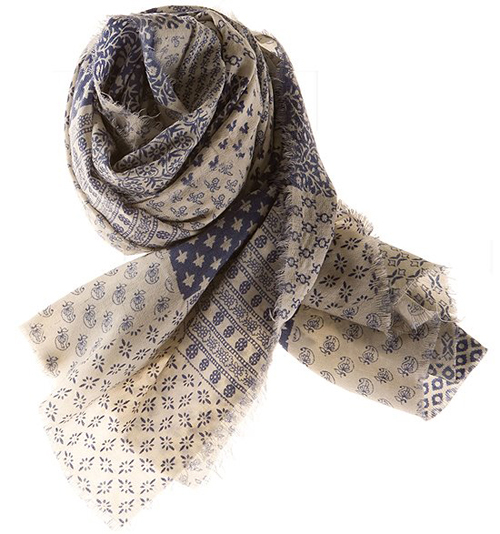 Yesterday, at Augustina, I bought this scarfy scarf. It's by Matta and I think it's divine! Once upon a time, long before any of you read my blog, I blogged about an artist (here). His name is Erwin Olaf. And just last night I saw this picture on the portfolio of Eric Cohler. And of course, I loved the artwork and thought the style was familiar and trawled back through my blog and hit the jackpot. Isn't it great how, without planning it so, my own blog has become a research library containing things I'll want to remember again later? I'm so glad it's Friday! I didn't find a rhythm this week at all until today. Most weeks have a momentum. Even if they drag, there's an clear arc to the week. But this one was an amorphous blob. The office was conspicuously empty and it left me with a feeling of just floating. But today was perfect and funny and beautiful. - Shopping! It never stops, or I never do! 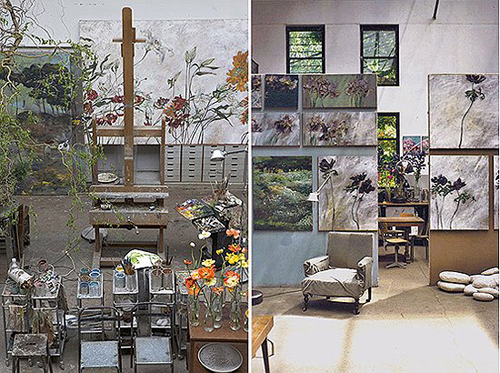 I have an old tearsheet featuring Claire Basler's studio and work and I always wanted to post about it, but felt reluctant since I couldn't name the source. 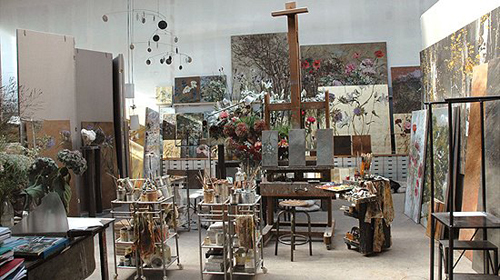 Happily, I found her website features images of her studio and home too. I think I could go there and just drench myself in the smells and sights and be entertained and inspired for weeks. I've got Dear Ada to thank for this purchase. 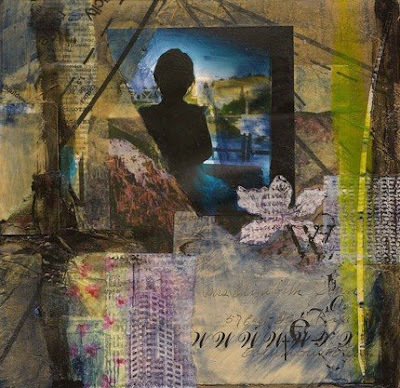 She blogged about Shelley Kommers' collages and I instantly captivated. Then I found Shelly's Etsy store, and the rest - as they say - is history. 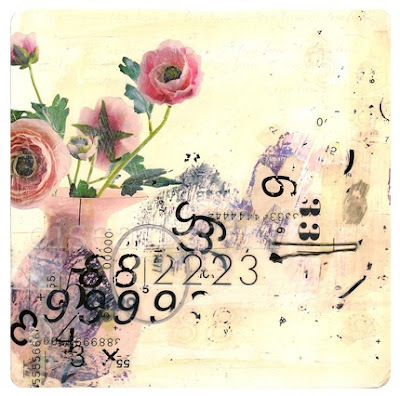 Winging its way to me is this gorgeous collage that instantly called my name. Shelly has a blog (here) that showcases her work and inspiration and she also makes the most adorable book plates, which she sells through a separate Etsy store (here). 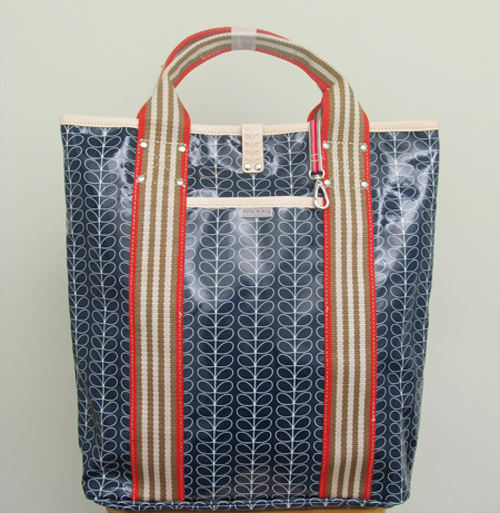 Check out the Zelig tote by Tila March. Me? I'm telling myself that I cannot buy another purse this season. 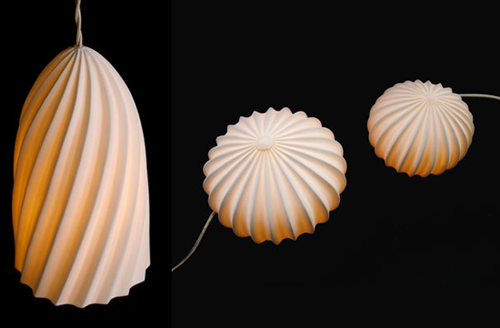 I'm intrigued by Ulrika Jarl's nature-inspired lighting, especially this pendant and pair of table lamps. Graydn by Todd Magill is a new discovery and there's so much I like about this label... I love all the greys and clean perfect tailoring, but how loose and comfortable the model looks. I love how she makes a silk dress look lazy and glamorous at once. I love the leather detail shots and this pop of orange. My latest Etsy purchase is this adorable dish by Kim Westad. I've had her store marked as a favourite for a long, long time and when I saw this I knew I would buy it. But I waited 48 hours. And then I went back for it. I love how special it is from every angle. 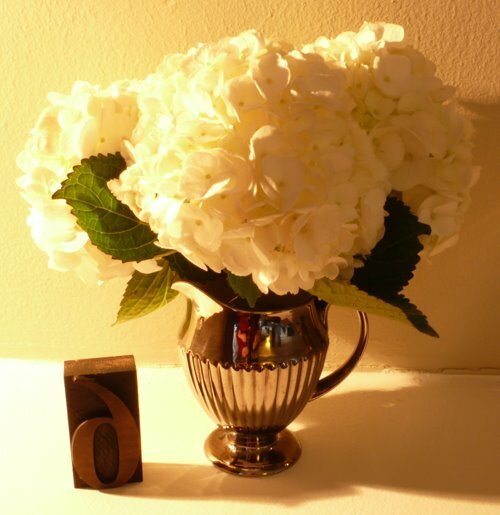 It's Monday, so I bought some lovely hydrangeas on the way home. 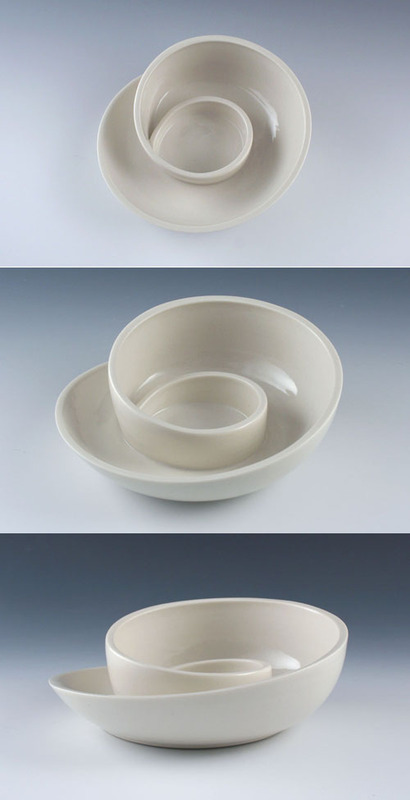 It must be abundantly clear by now that I have a thing for very simple ceramics, pure organic forms in a very natural palette. My most recent discovery (via September's World of Interiors) is Belart Industries. But, lest you think all my options are over-expensive, I've been considering Pottery Barn's Studio Collection for a very long time. I love all looks from Iro's A/W collection. I don't think I'd ever do over-the-knee boots. Being 5ft 3" I think they'd truncate my body even more (plus, they may just come up to my hips). Still, with knee-highs, or just cute flats, I'd wear any of these. 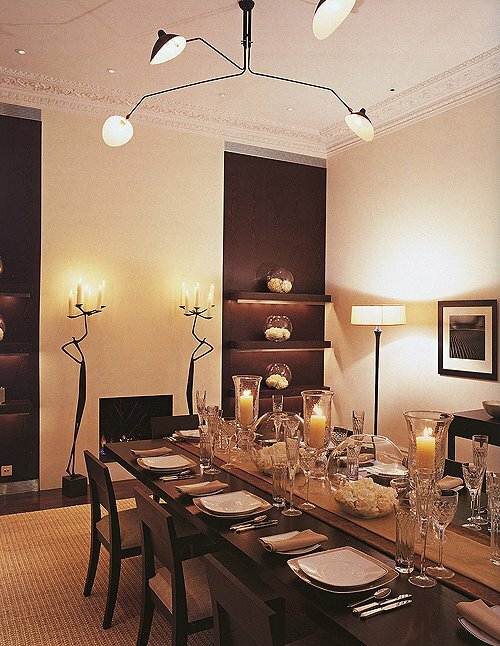 I find Kelly Hoppen's style very inspiring. 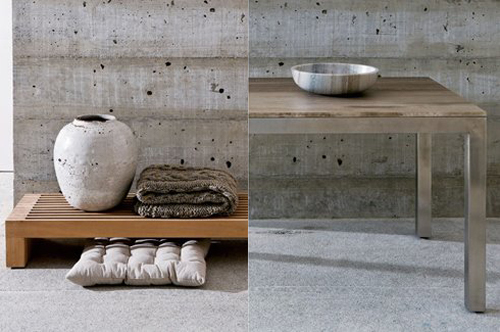 I love neutral palettes and textural spaces. Of course, I'd add more artwork, books and general clutter than she ever does. But I look at her rooms and think, that's a beautiful starting place for anybody to impress themselves upon. 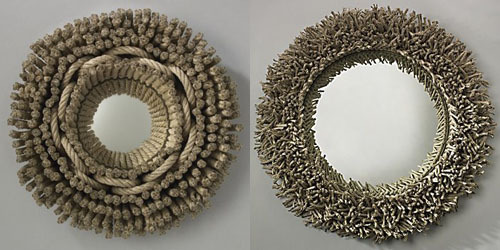 One of the things I most like about her is her use of natural elements; rope, irregular wood, shells, accessories with loose organic lines. I think these mirrors would fit perfectly in a Kelly Hoppen interior. Perhaps hung as a group, perhaps hung as a solo showcase. From CoutureLab. No, Orla Kiely doesn't make a laptop case. But she makes this gorgeous tote. I wanted it way more than the nicest laptop case. If I get one of those sleeve-style laptop cases it will fit my MacBook in this bag. Plus, I get a tote bag for all-round use. So, really I get two bags for the price of one. I'm the top of the shopping evolutionary food chain, I am. The Porter Grey collection is full of jewel-toned silks with a flapper edge. Love it. I was browsing The Paris Review, as I often do (today particularly led there by Lori's amazing weekly buffet). 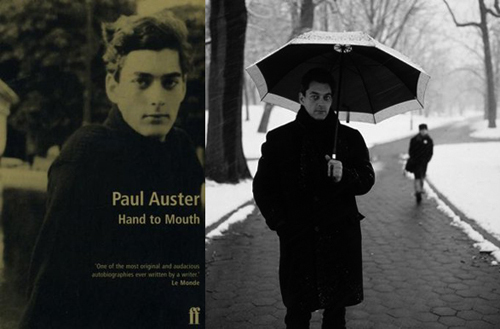 And I found this reading by Paul Auster. I listened to it while working, throwing my headphones on and shutting out the Friday office racket for a 17 minutes. I'm listening to it again now. It's a beautiful, moving story. I'm guessing from the lack of comments that my bookish posts are the ones you like the least. But, I feel like it would be inauthentic to drop them. And that's when blogs become mini media empires. I work for a media empire... I know all the downsides. Books are my non-negotiable. I hope they're not a deal-breaker for you. Because I like you a lot too. I'm sure many of you are familiar with Hannah's work through the gorgeous Scottish site, Papastour. You can find more of it here. I saw this gorgeous dress on a few days ago on SSense. 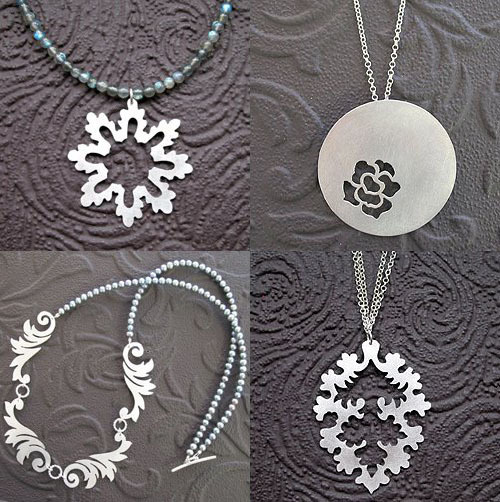 Then I wandered over to the Designers Remix site and look at the loveliness I found there! I love her hair, especially with the cute beret. I don't know who lives there. I don't really want to. I prefer to imagine it's me. This house in Copenhagen is perfect for reading and writing books in, don't you think? Richard Powers' portfolio is just as jaw-dropping. I think I mentioned my little preoccupation with the moon (or its preoccupation with affecting my moods). And I also mentioned my little project to photograph every full moon from the same spot near my apartment, starting with this Monday's Harvest Moon. 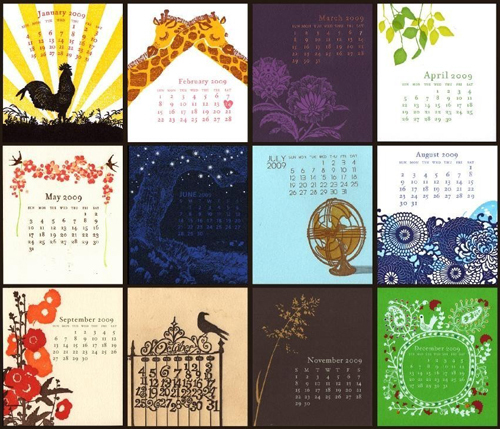 I stumbled across this calendar on Etsy and have ordered the 2009 version. It will help keep me on schedule. 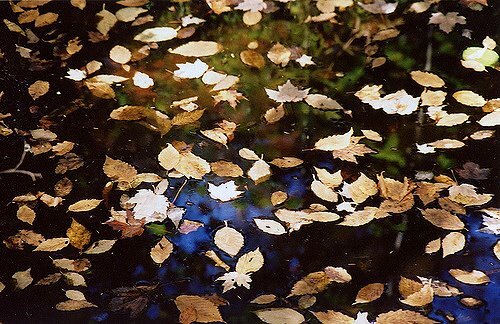 Of course, it helps greatly that it's beautiful in itself. From Lizard Press. 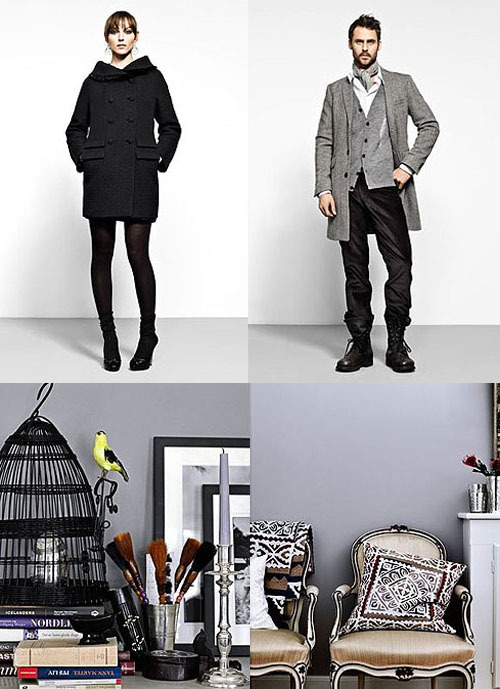 This season, Danish brand Day Birger et Mikkelson have conjured an entire package of rich, luxe gorgeousness. No guesswork left here. First, take one smokin' hot girl... Then, add one dashing, moody boy. 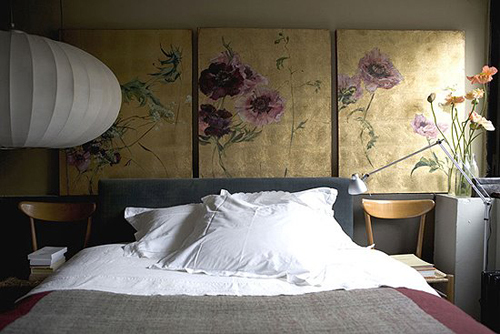 Set the scene in a dramatic and bookishly eclectic house, with the perfect wall colour. Is it completely sad that I want the whole package? Lovely Joanna posted today about Tord Boontje's Midsummer light. On the weekend, I went through some tearsheets and had found this, so thought I'd throw it into the mix. Proof positive that this can be far from childish, methinks. Unfortunately, because it's a very old tearsheet, I'm not 100% sure where I pulled it from. I think it was Veranda magazine and the photographer was perhaps Francois Halard (I hope I'm right on this). On a whim, I decided I wanted to buy ranunculus but I guess they're out of season... It took 3 days and 7 florists, but what this lady wants, she gets. I'm like the Gordon Gekko of the shopping world. That mention of Mackage sent me spinning over to their site to check out their latest collection. And there I discovered e-tail! Not that there's any shortage of retail outlets in Toronto, but I do love it when there's e-commerce... so much more fun to share! Plus, check out the Russia-meets-fencing thing they have going on with their collection shots. I got weird vacation blues towards the end of last week. I guess I don't know how to vacation, and it didn't help that work e-mails kept coming... "we know you're on vacation, but..." So, I took myself to Holts and bought a Jo Malone Lime Blossom candle (Jo Malone is to me what Diptyque is to many of you). Then, I thought I'd find a cute top or something at Banana Republic, but their selection was just horrible and the colours ugh. 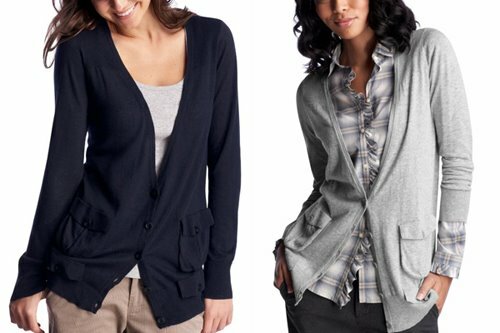 I went into Gap out of boredom and found these great cardis and bought one in navy and one in grey. 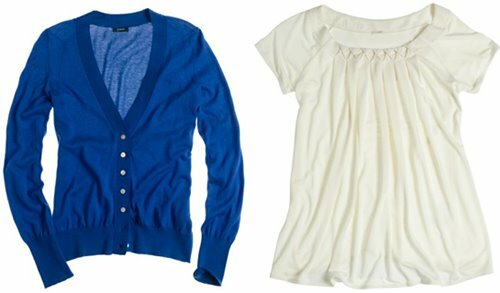 Back home I hopped online and hit the J.Crew sale section and picked up these easy little treasures. 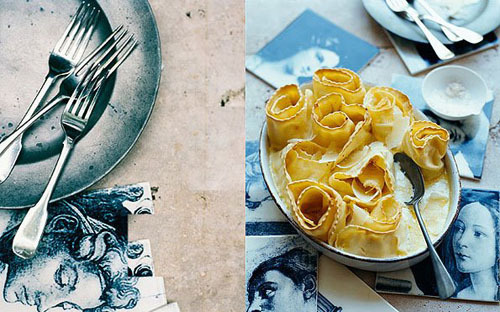 The latest issue of Delicious (Vol 5, Issue 5) features some delectable desserts, photographed by Mark Roper. Amaretto oranges with vanilla mascarpone had my mouth watering. And chocolate cake with chestnut "spaghetti" looks like the perfect comfort dessert for the cold evenings to come. 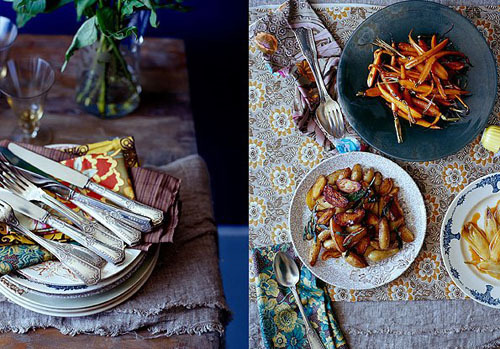 Here's some of Mark's stunning photography, from his gorgeous portfolio. 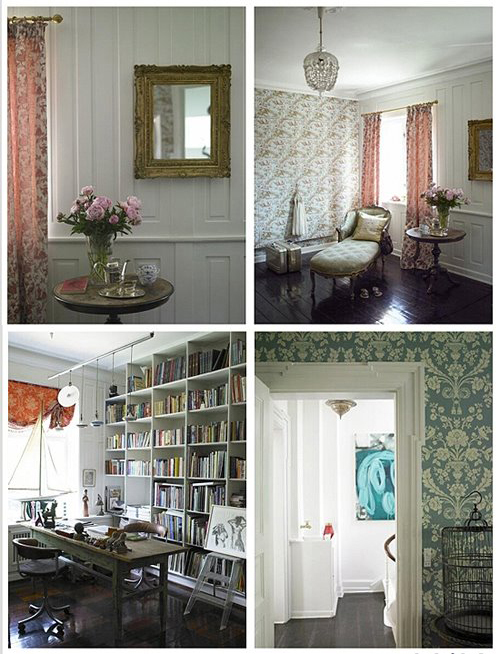 I especially adore all the colour and pattern in the bottom image!